An influential member of the London Assembly has warned that Mayor Boris Johnson is trying to flog off a chunk of Crystal Palace Park to Chinese developers for the benefit of a Tory borough council, with little proper consultation or planning. 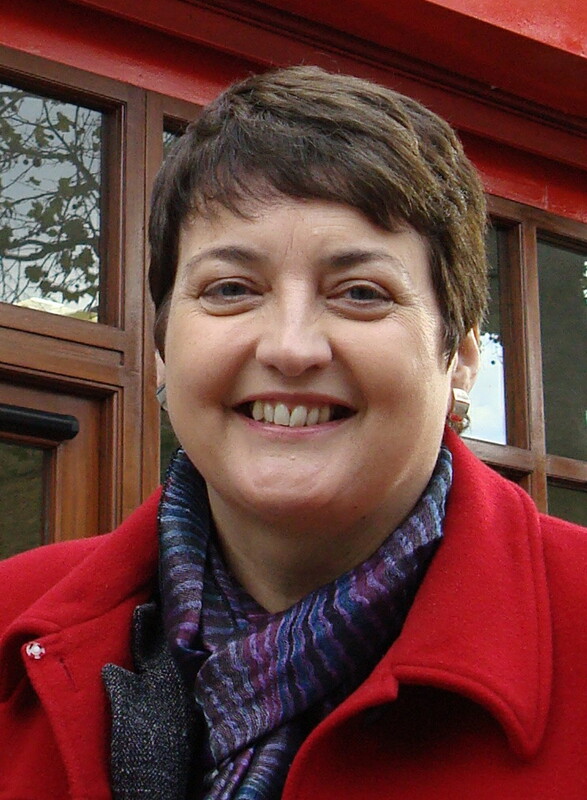 Val Shawcross, the AM for Lambeth and Southwark, has expressed “deep concern” over the “indecent haste” being taken over the £500 million scheme announced a year ago, and she says that the consultation process is proceeding in “a topsy turvy and dangerous way”. Shawcross, a former leader of Croydon Council, is a Norwood resident and has been following closely the consultation organised by Arup on behalf of China’s ZhongRong Group, who appear to have been given free rein to build on the site of the old Crystal Palace by Mayor Johnson. Earlier this month, Shawcross described one Arup-staged meeting as “a very badly organised consultation event”. Last week, Shawcross attended another meeting, this time in Dulwich, which she has described as “a lamentably ‘hollow’ presentation”. “To their credit, the Arup team of two at least expressed their own ‘frustration’ and showed a degree of decent embarrassment with the thin pickings of information they had to offer on what this major Chinese Development company wants to build on the top site at Crystal Palace Park,” Shawcross wrote on her London Assembly blog over the weekend. Yet as Shawcross notes, one year on from Mayor Johnson and Ni Zhaoxing, one of China’s richest businessmen, announcing the ambitious scheme to recreate the Crystal Palace, there is a startling absence of firm detail about exactly what they now intend to build on the publicly owned site. But it has emerged that Johnson intends to use his connections within the Conservative-led Government to have a Bill to amend 1990 Crystal Palace Park Act, which strictly limits the amount of development on the site, included in the next Queen’s Speech. “They were unable to get anywhere near guessing how much land would be built on or what the actual size of each of these facilities would be,” Shawcross said. “They do not consequently have any guesstimates on the number of visitors or trips this will generate. They said the approach to dealing with the local pressures placed on transport and roads would be to make use of backflows – that is, use the empty trains coming back out of London after the morning rush hour. It is looking increasingly as if the Crystal Palace scheme is another off-the-top of Boris’s head “wizard wheezes”, aimed squarely at grabbing headlines, but lacking substance and without much in the way of thorough thought, planning or, indeed, work. Once again, a public asset is being bandied around, for the probable financial benefit of Tory-controlled Bromley Council, but with little consideration given to the interests of local residents or the other four neighbouring boroughs. Nor are the developers and their consultants planning to discuss their nebulous plans any further until June, by which time their short-list of architects should be down to three firms. Arup have withdrawn from attending a Question Time event organised by the Crystal Palace Chamber of Commerce due to be held this Thursday. “My view is that the whole project is still proceeding in a topsy turvy and dangerous way,” Shawcross said. 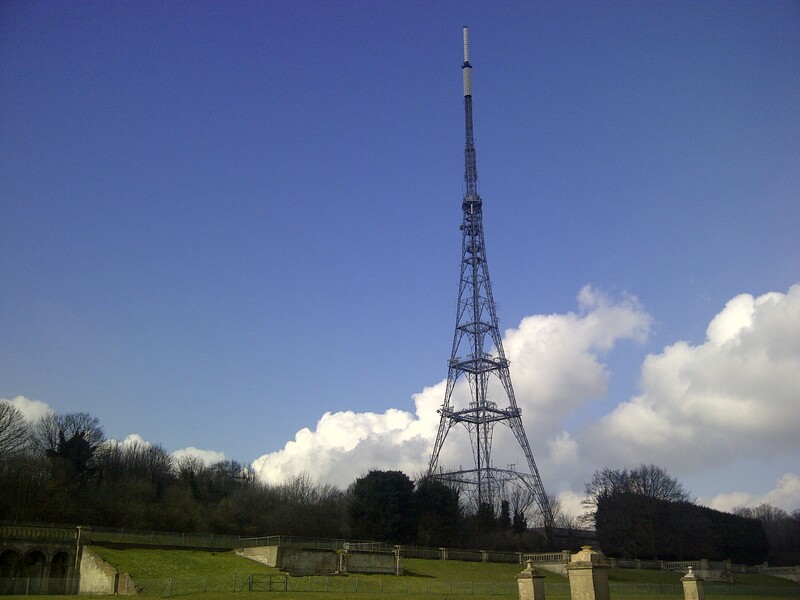 “Here we apparently have a situation where the developer has decided he wants to rebuild the Crystal Palace (or the spirit of it) on this historic public park, and at this stage regardless of the suitability, appropriateness or practicability of the plans, is negotiating for a long lease on this much-loved public park. Work on business planning and assessing the environmental and transport suitability of this proposal seems to be stalling until these negotiations are concluded. Architects will be designing concepts in the absence, it may be, of a detailed brief. “Added to this is the evident enthusiasm of Bromley Council to offload the enormous financial responsibility for this park on to a foreign-owned development company and to do so quickly. Presumably this haste is to make progress whilst a Mayor and government of their own political colour are in place so that (possibly, in my opinion) they won’t have to deal with unfriendly scrutiny from above. “The Mayor has signed a Memorandum of Understanding supporting the project (while he doesn’t really know what it is) and it was reported to a briefing of council leaders this week that Boris will be lobbying the Government to include a Bill to amend the 1990 Act in the next Queen’s Speech. This was reported to be likely to cover the issue of how much land can be developed (enlarged) and the length of lease that can be granted. “So the questions continue to reverberate, but in the meantime Bromley and the Mayor’s office at City Hall continue to seemingly regard ZRG as generous benefactors rather than a sharp and commercially minded global property development company,” Shawcross said. Croydon is one of the five boroughs which border Crystal Palace (the others being Lambeth, Southwark, Lewisham and Bromley) and which has an interest in the management of the park, which since the abolition of the Greater London Council has come under the control of Bromley. This entry was posted in 2014 council elections, 2015 General Election, Boris Johnson, Crystal Palace and Upper Norwood, Crystal Palace Park, Environment, London Assembly, London-wide issues, Mayor of London, Planning, Val Shawcross and tagged Boris Johnson, Bromley, Conservative, Croydon, Crystal Palace, Crystal Palace and Upper Norwood, Lambeth, Lewisham, London Assembly, Southwark, Tory, Zhong Rong. Bookmark the permalink. Firstly, let us remember that an election is in the offing and our Valerie is a very tribal politician, albeit a very conscientious one too. I think the charge of indecent haste is a bit strong; the original building burnt down (accidentally?) in 1936. Allowing for World War 2 and the fact that it left us more in debt than Gordon Brown did, we couldn’t afford to rebuild until at least the mid-1960s: that still means we’ve been dithering around for almost 50 years. Bromley never wanted Crystal Palace Park; indeed, it never wanted Penge. At the dissolution of the GLC, the park should have been given to The Royal Parks or The Corporation of London, either of which would have looked after it better. I’m not really surprised that Boris and his Chinese chums are playing their cards close to their chest. What Val calls consultation will, in fact, be another round of nit- picking at huge public expense. If we want a new building on the top site we will have to stand up to the people who have successfully blocked it for so many years; and that will mean political bloodshed. If we don’t want a new building we should say so clearly and make arrangements to landscape the top site and to provide sufficient funds for the proper maintenance of the whole park in perpetuity. If a Grade II listed London Park is to gifted to a Chinese property development company, whose largest investor is the Chinese government, is it unreasonable for South Londoners to be consulted and given information on which they can make an informed judgement? Is it ‘nit-picking’ to ask how big the building will be, what will it look like, what will go in it and what it’s consequnces will be for the economy and environment of a large chunk of South London? Arup have well and truly cocked things up. When this scheme was announced, there was a near 70% of locals in favour of the project. As time has worn on, a significant proportion of people in the five boroughs sorrounding the Park are now deeply suspicious of the proposal. This is a direct result of the absence of hard facts and Arups shoddy consultation exercise. Lets not forget before this proposal broke surface, there was an agreed road map for the Park that was viable, sustainable and had the support of LB Bromley, The GLA and the wider community. This appears to have been sacrificed for an idea which wouldn’t pass the back of a fag packet test. The road map to which whitgiftavenue refers was also being opposed at every turn, probably by many of the same people who now oppose the Boris initiative and who will oppose any future plan. I note your main objection appears to be that the investor is Chinese: should I read anything significant into that? Yet again davidcallam has got his facts completely wrong. He seems to be referring to the LDA-sponsored ‘Masterplan’ proposals floated some seven years ago. Despite being dependent on selling some parts of the park for housing , these enjoyed widespread support in the district. They were were objected to by one community group who pursued their objections through the courts. I was referring to the road map/plan developed over the last two years by the newly formed CP Park Executive Board. This would have involved placing the park under the governance of community trust. Incremental improvements would have been made to the park on a project by project basis and would have included a new museum, visitor centre, restaurant and viewing platform on the top site. I would remind DC that a renovation programme for the sphynxes and terraces has been halted and that a multi-million pound Heritage Lottery fund grant application failed, due to the uncertainties the ZhongRon Corporations proposals have created. My principle concerns are the consequences the ZRG proposals will have for the park and a sizeable part of South London. Do I think it is significant that the developers who are being gifted the top of the Park are Chinese? Yes, I do. We know that the major investor in ZRG is the Chinese Government and it is my belief that no other developer would have been given the preferential treatment afforded to ZRG. I believe this is due to them being a Chinese Corporation, and so do a host of UK developers who were told that this site was unavailable. And yes, I am concerend that the ZRG is heavily involved in the Zimbabwe diamond trade. At least this explains why one of the few activities we have been told the proposed new building will house is a gemstone trading centre. It is becoming clear that the championing of this project by the GLA Mayor’s office has nothing to do with Crystal Palace Park or the needs of South London. It has everything to do with the Mayor’s desire to welcome foreign money, regardless of its source or its consequences, and if this means handing over a Grade II listed historic London Park, then so be it.